The word "lox" means smoked salmon. Served on a bagel with tomato and onion slices. A food traditionally made of yeasted wheat dough in the shape of a ring. Boiled in water then baked in an oven. The result is a dense, doughy interior, browned exterior. The bagel has long been a staple in New York delis and a favorite of Jewish communities. Brisket, which is the beef cut from the breast of the animal is traditionally a popular kosher choice not only for preparing but for serving any family size to large group gatherings. The best way to prepare the brisket is to cook it low and slow, thinly sliced against the grain to ensure tenderness, and top with the braising reduction. Great matzoh ball soup starts with homemade chicken broth. The chicken stock starts out with a whole chicken, cut into pieces, and simmered with aromatics and root vegetables like carrots and parsnips. Everyone's favorite part of the soup, though, is that airy--or dense, depending upon your preference--dumpling known as the matzoh ball (also called knaidel). The Jewish version of a crepe, this dish is traditionally filled with cheese and topped with sour cream or jelly. It was originally brought to the US by Jews from the Ukraine. 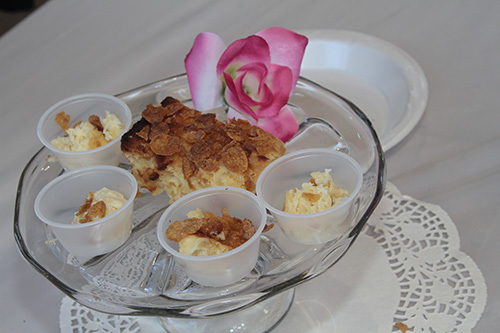 Kugel (which means pudding) is a traditional Jewish dessert or side dish served during holiday meals. It was originally brought to this country by French and Bavarian Jews. A symbol of plenty, this dish is traditional to Sukkot. There are as many stuffed cabbage recipes as there are towns in Central and Eastern Europe. Made from cabbage leaves, stuffed with a ground beef and rice mixture, and cooked in a tomato sauce flavored with lemon, sugar and spices. Dough wrapped around a filling of mashed potatoes, then baked to perfection. Can be served as a side dish or appetizer. Knishes are enjoyed with deli-style mustard. A Jewish specialty - every family has their own version. Some people prefer a smoother consistency (like pate), while others enjoy a more coarsely chopped version. Made from chicken liver and onions sauteed in chicken fat or oil and blended with hard-boiled eggs and seasonings. Served with slices of Jewish-style rye bread.